With the Orwelian chant of “War is Peace” alive and well, blaring at us through the news media and the so-called world leadership, we’ve arrived at the 30th anniversary of John Lennon’s assassination and I wonder if his message died with him that day on the cold concrete of 72nd avenue in New York City. “War Is Over” is not as much an announcement as it is a declaration that war is no longer necessary, that it’s gone out of vogue. However, with major wars in places like Afghanistan, Pakistan, Iraq, and Palestine, and low level conflicts in places like Somalia, India, and Sudan not everybody seems to have received the message. Why? Since the beginning of time itself Man has been engaged in conflict, killing his brother for land and for natural resources. Billions of people have been killed, empires collapsed, cities burnt and destroyed, civilizations lost and land torched and contaminated. Despite that the so-called civilized modern Man of today is still not convinced that wars do not solve conflicts but exacerbate them. Wars are still being waged, Cain keeps killing Abel, despite the wide spread anti-war movements and many vocal peace activists. How is it possible that the few are controlling the many? And why have we given up on what we know to be true…that War Is Over? We have evolved as human beings. It’s time for us to recognize that, to see our new selves by expressing our desire for oneness through co-operation on the local level and by electing people to power who believe what we believe…not the business as usual politicians who’s mantra is “War Is Peace”. We control the new world order, not them. Don’t let them marginalize you for thinking this way either. It’s not pie-in-the-sky. 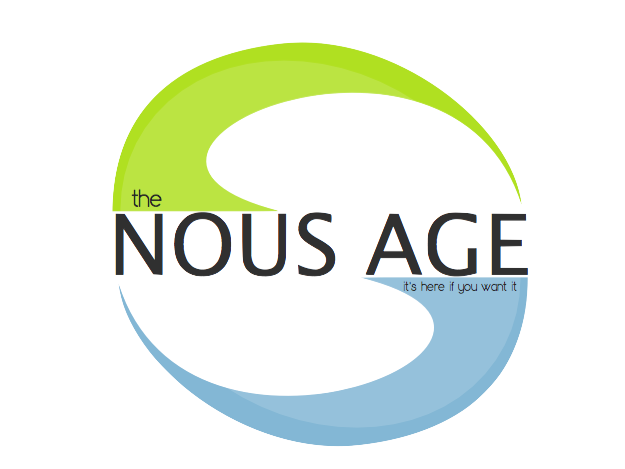 This is our new reality, our new age…our “Nous” Age. It’s here if you want it.